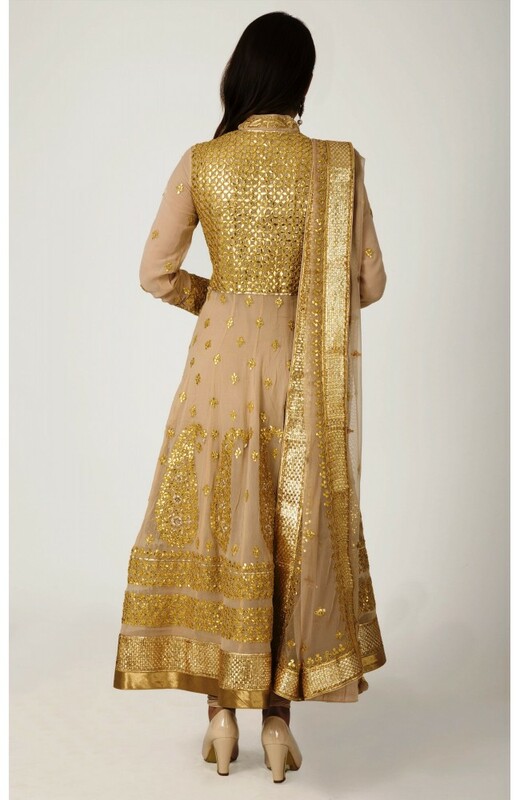 A beautifully crafted Anarkali suit set comprises a subtle beige colored kurta, a creame beige dupatta and a lycra net chudidar bottom. 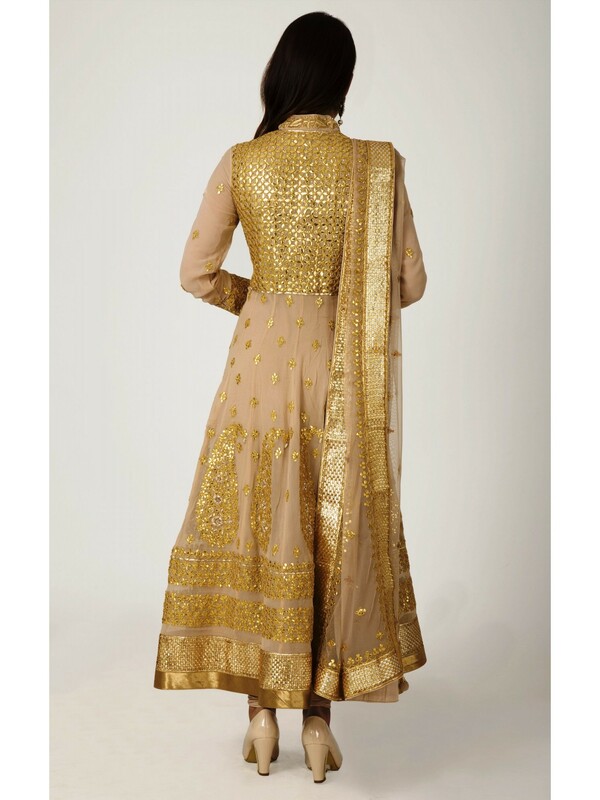 This designer piece is rendered with gota patti along with sequence & zardozi work all over. Made from pure silk border, this set will add ample of panache to your look.